"I've only seen this raw strength once before, it didn't scare me enough then. It does now." Just moments ago the new trailer for Star Wars: Episode VIII - The Last Jedi was released on ESPN during Monday Night Football! After patiently waiting months to get new glimpses at the film, the trailer delivered on so many levels and is something truly special! 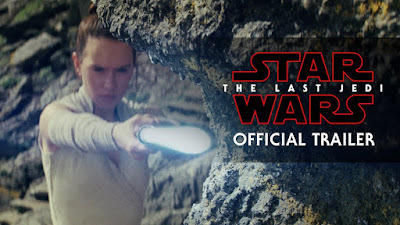 Stay tuned to The Star Wars Underworld for all the latest news from The Last Jedi and more! Disney: "I will ruin franchise for you!" Me: *Dramatic pause facing the danger* "You will try..."